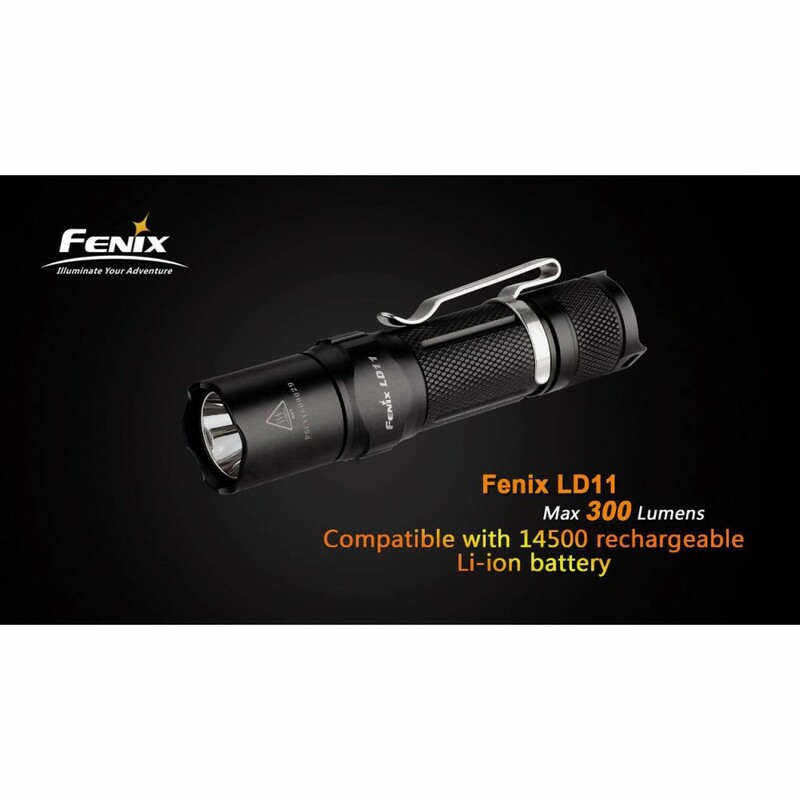 The new Fenix LD11 is an exquisite, high-intensity EDC flashlight. 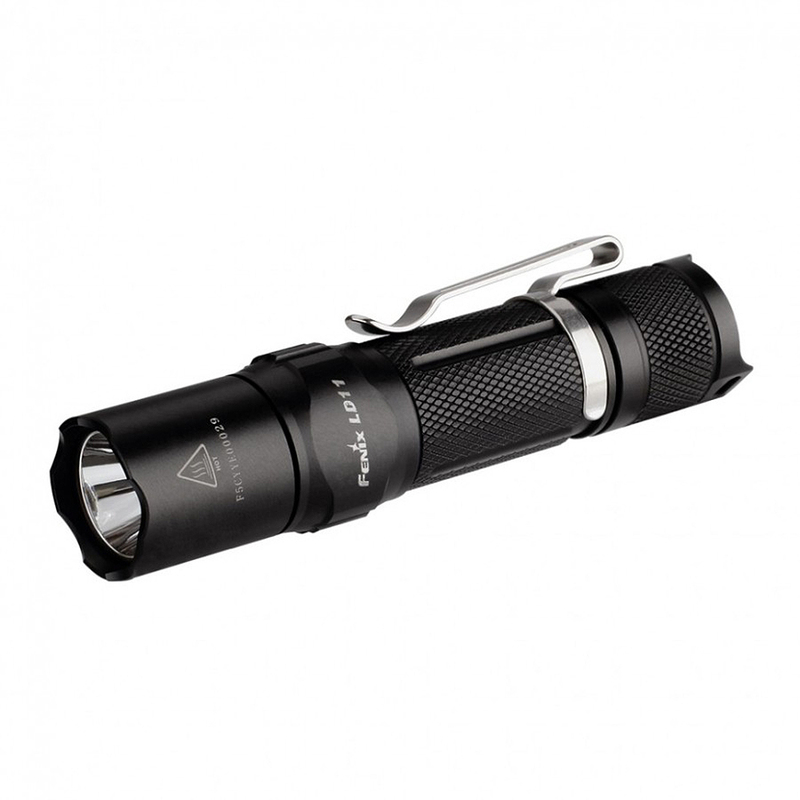 With its three battery source options, it is perfect for those prepping or just desiring a quality flashlight. 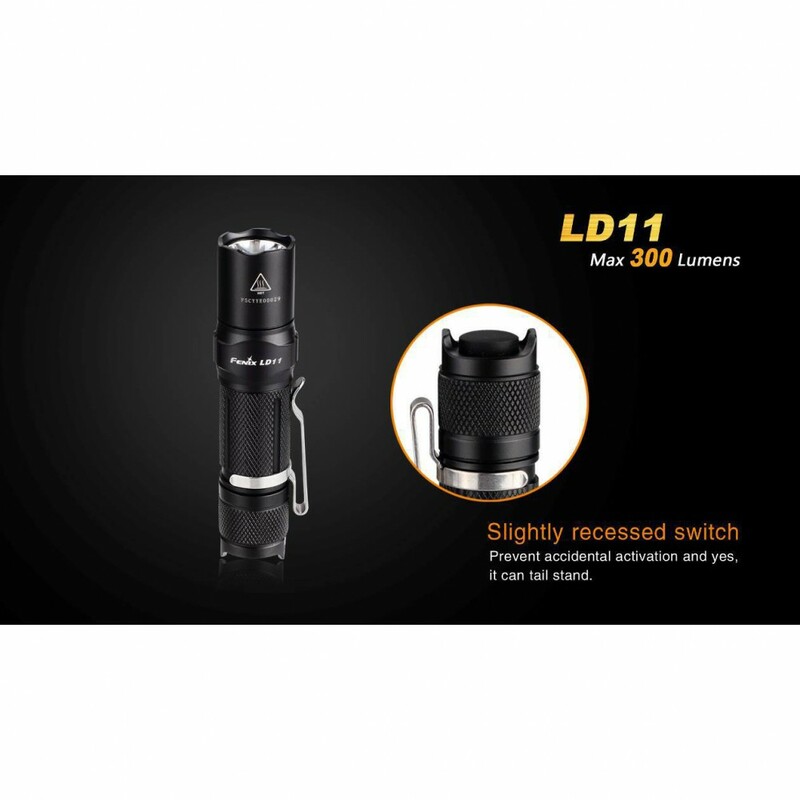 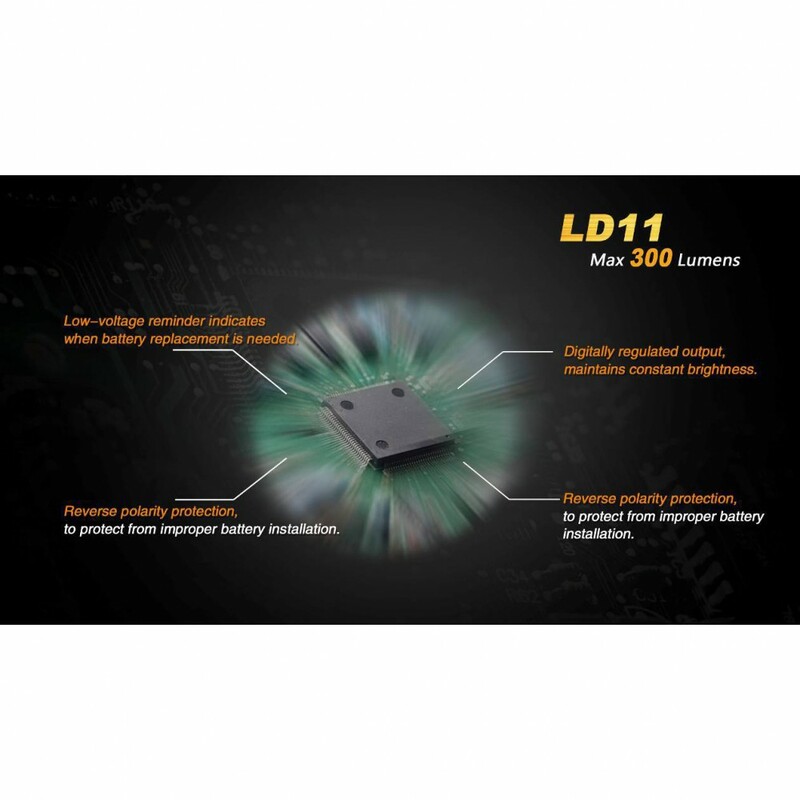 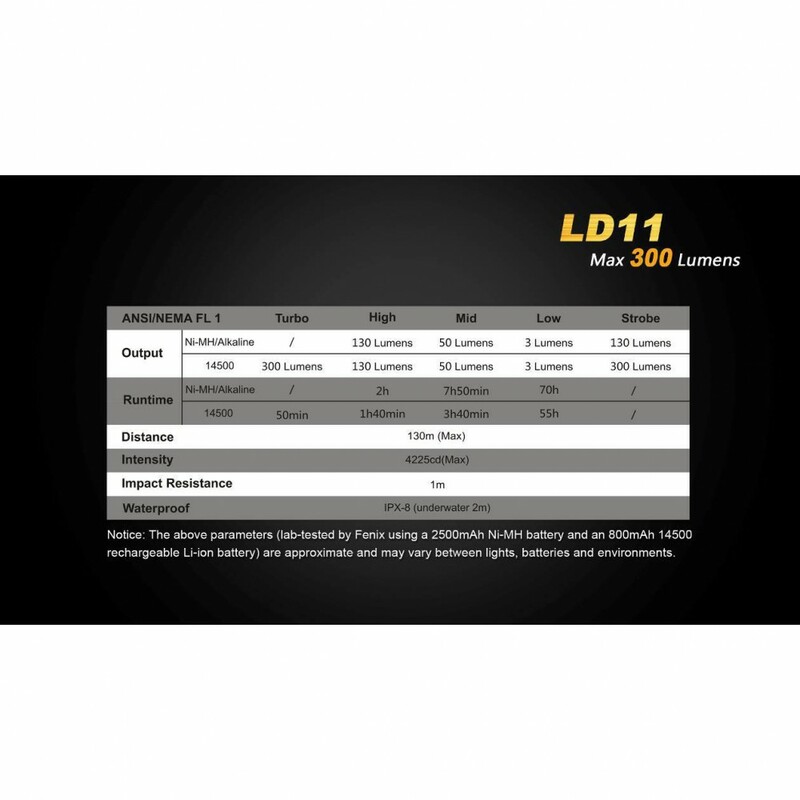 The LD11 is built to be a versatile every day carry option for all kinds of users. 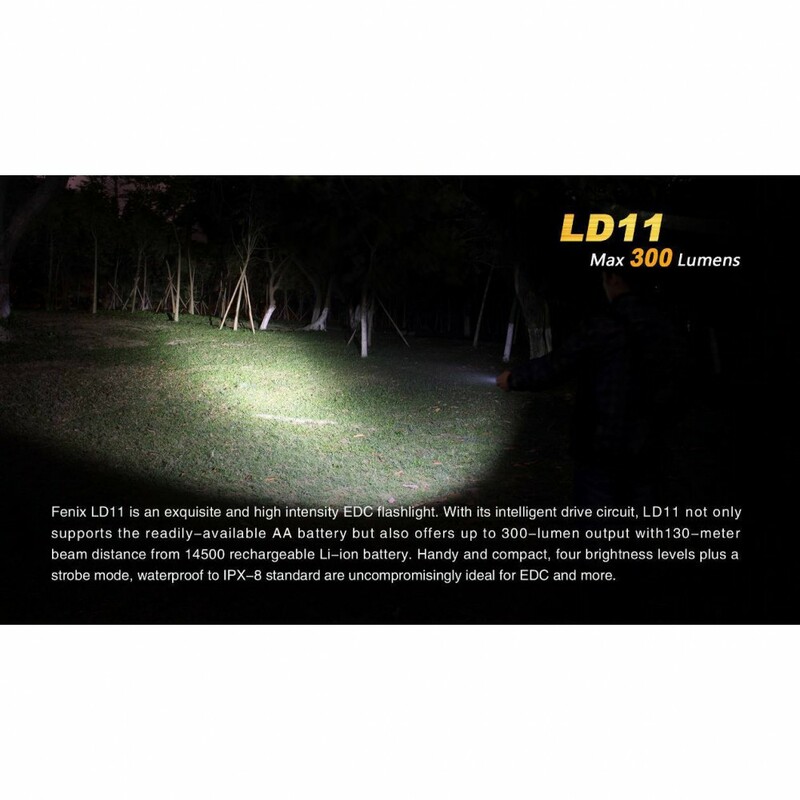 From hikers traversing dangerous terrain to urban explorers in the concrete jungle, this light will impress wherever you have it, whenever you need it. 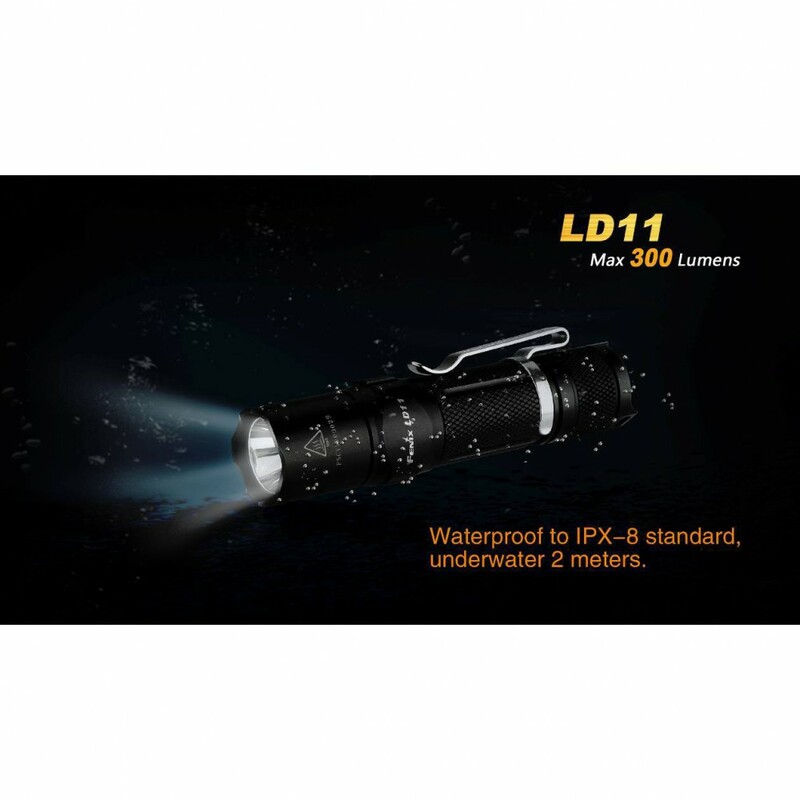 Built from rugged materials and constructed with precise attention to detail, this device can withstand serious abuse and still outperform the competition. 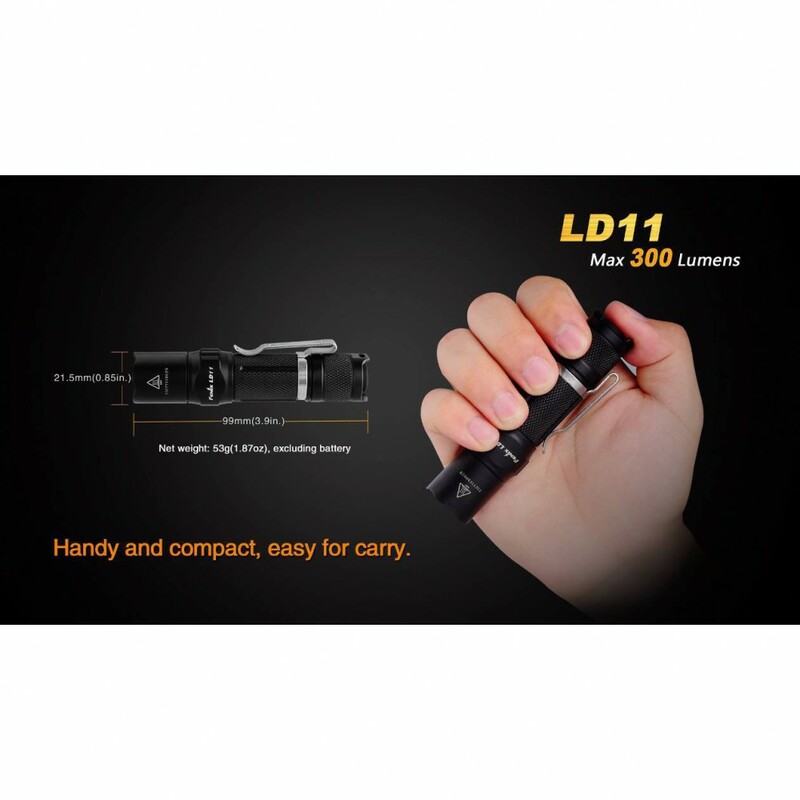 Its compact size allows it to be carried comfortably in your pocket, purse, glove compartment, or backpack. 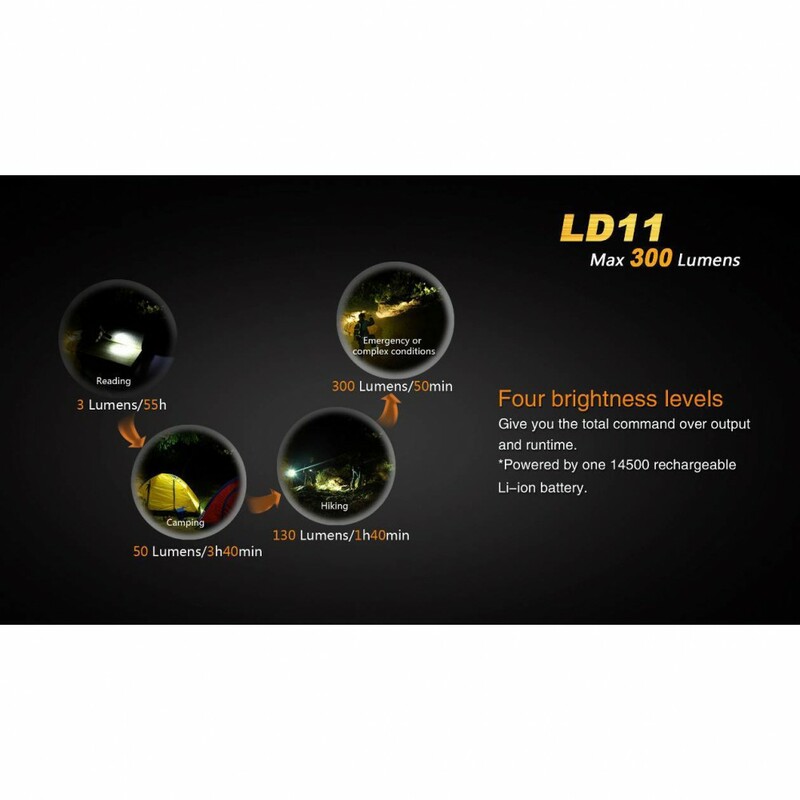 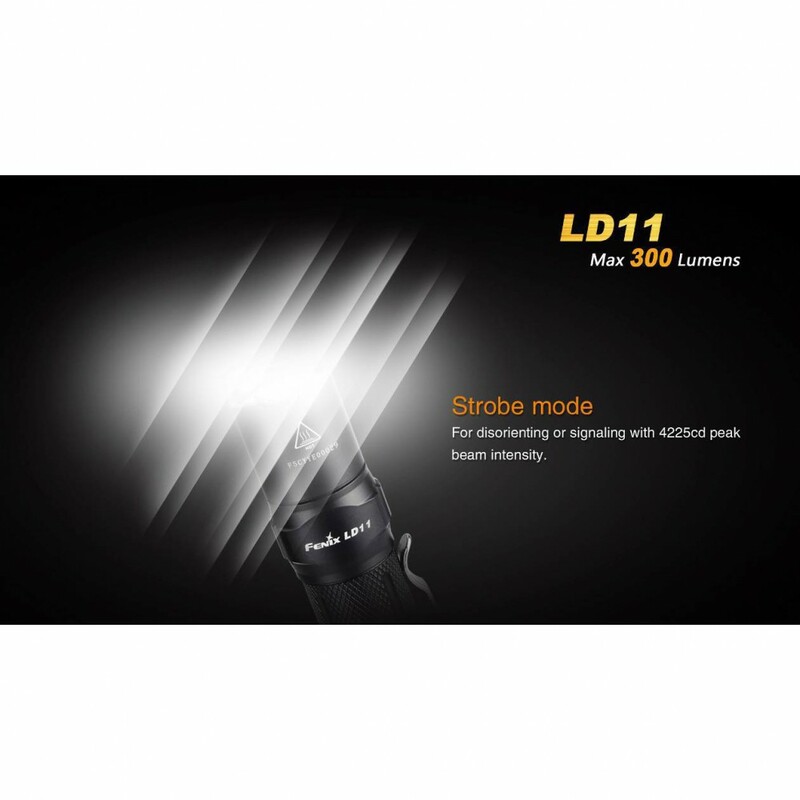 While many flashlights need to sacrifice power when using AA cells, this light is able to generate an impressive 300 lumens in its highest mode - several times more powerful than flashlights twice its size. 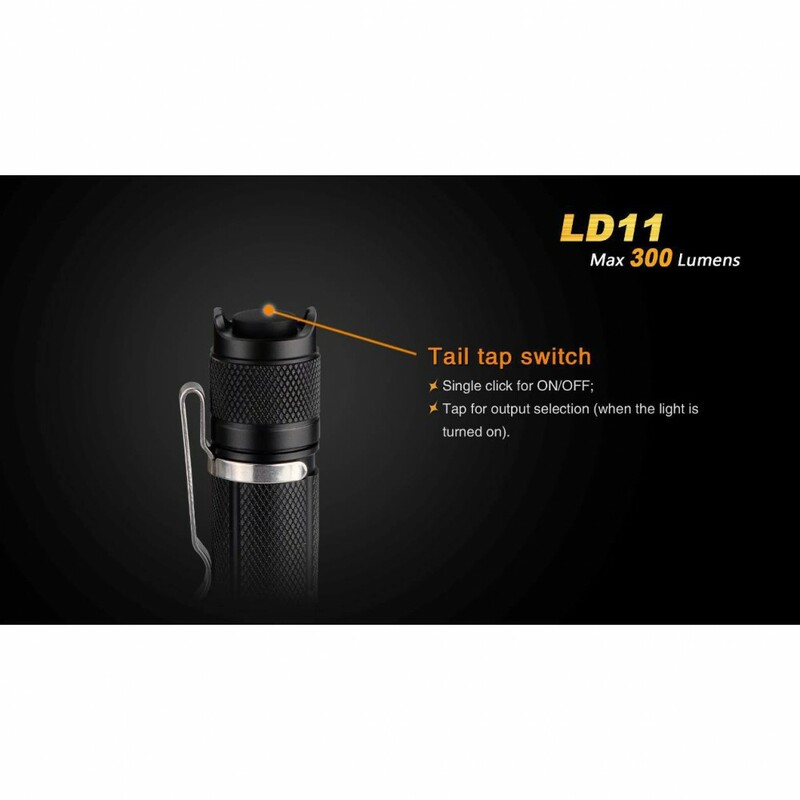 A tail-switch provides one-handed activation and de-activation, as well as cycling through turbo, high, medium, and low, and strobe. 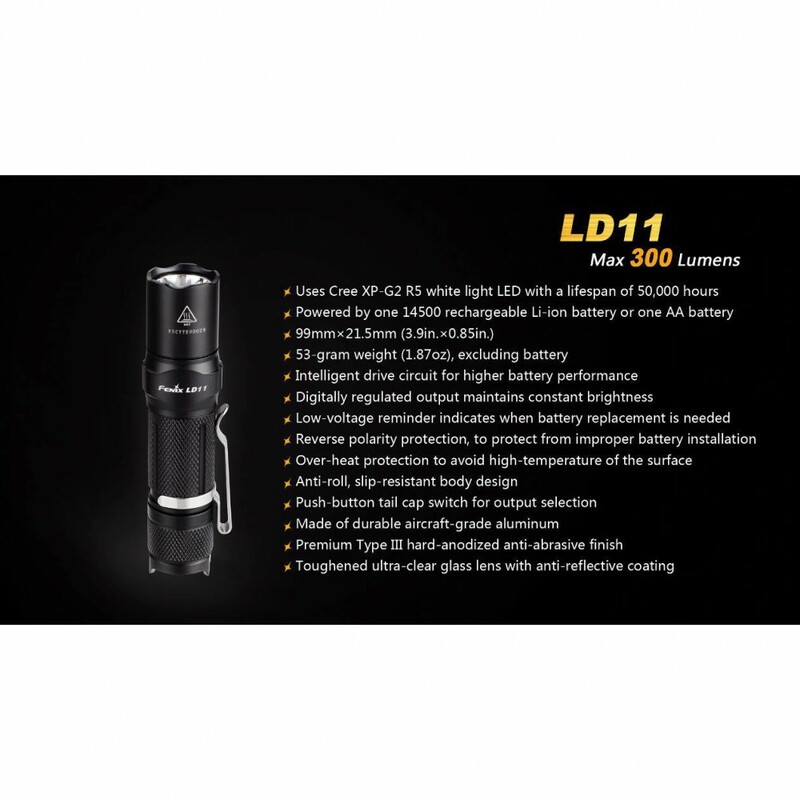 This light meets IPX-8 water proofing standards and is constructed from hard anodized aluminum, meaining it's an ideal EDC flashlight for hikers and campers as well as anyone who wants to remain prepared for the unexpected. 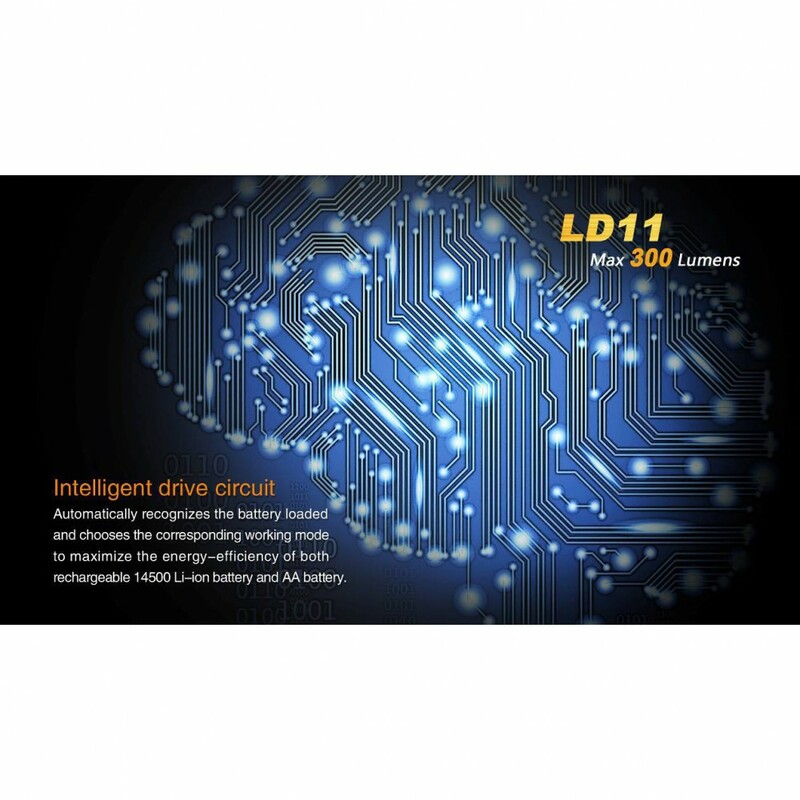 Low: Ni-MH/Alkaline Batteries - 3 Lumens (70 hr. 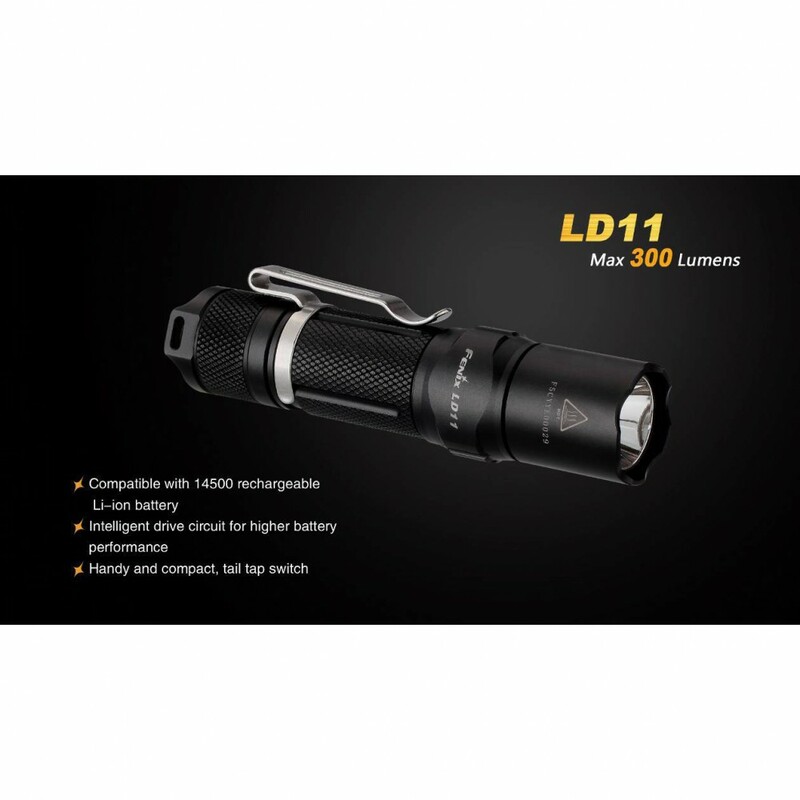 ); 14500 Battery - 3 Lumens - 55 hr.